Zucchini is one of my favorite ingredients. 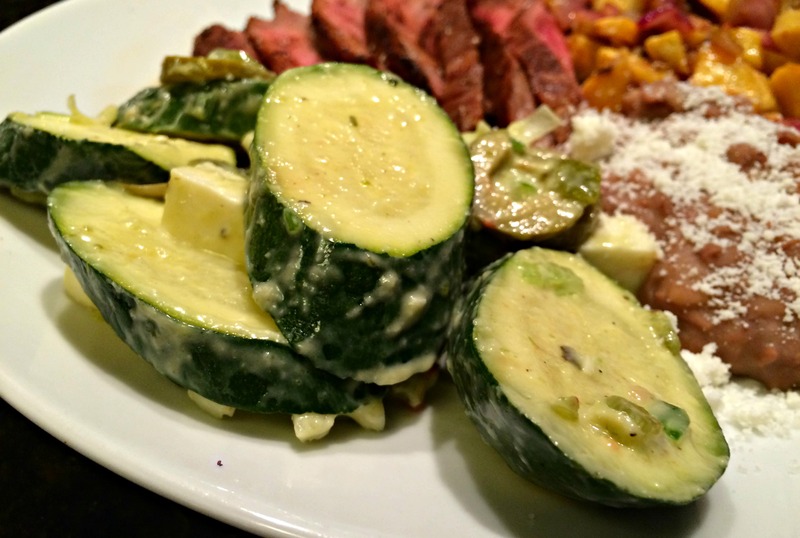 One of my comfort foods is calabacitas, a dish I realized I have not posted here yet. This dish is a bit different, but I like the combination of flavors. The recipe comes from the Cooking with too hot tamales cookbook by Mary Sue Milliken and Susan Feniger. While the name implies a salad, I think of it as more of a side dish, and works especially well when paired with grilled dishes. 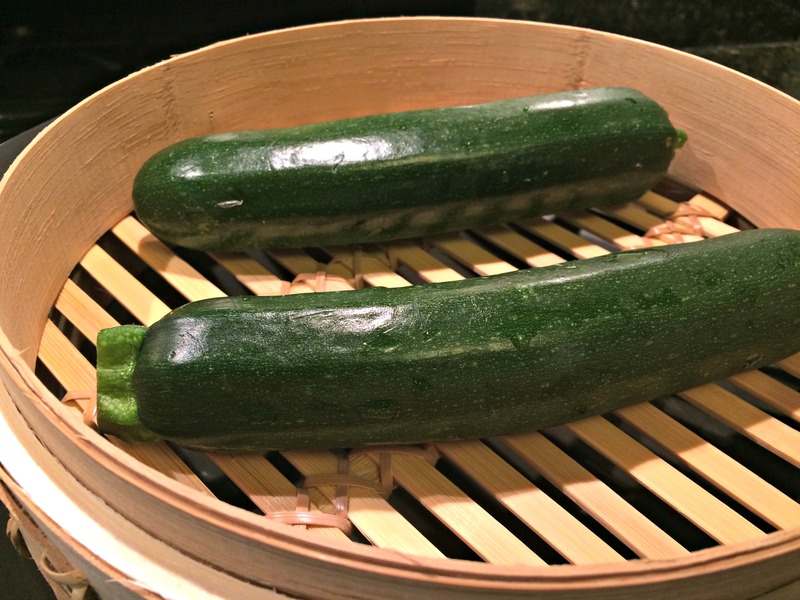 Steam the whole zucchini over simmering water until softened through but not mushy. Cut into thick slices. Combine all of the ingredients except of the dressing. Toss to combine well. Add the dressing to your taste, toss gently. 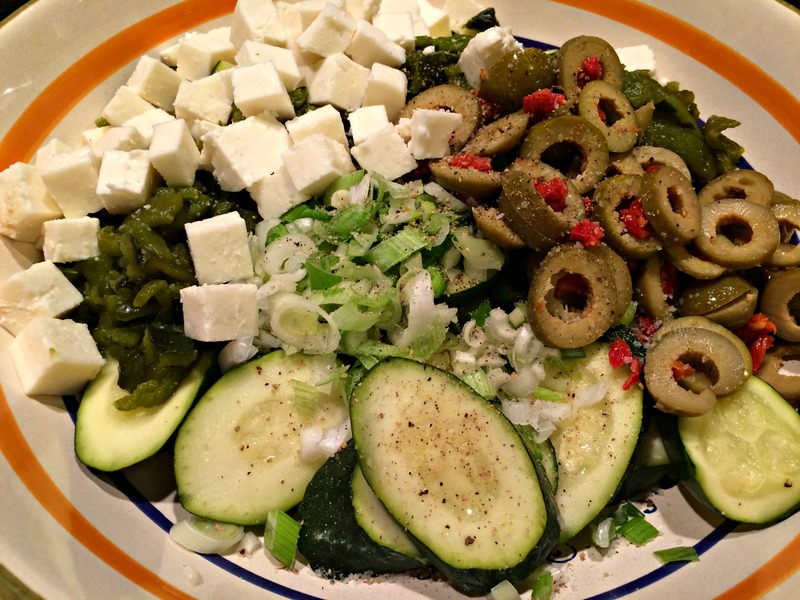 Place the salad in the refrigerator for at least 30 minutes before serving. Place all the ingredients in a blender and puree until smooth. Pour any unused dressing in a container and cover. Use within 2 days. Thanks for a new way to enjoy all those zuc’s that will be coming soon.